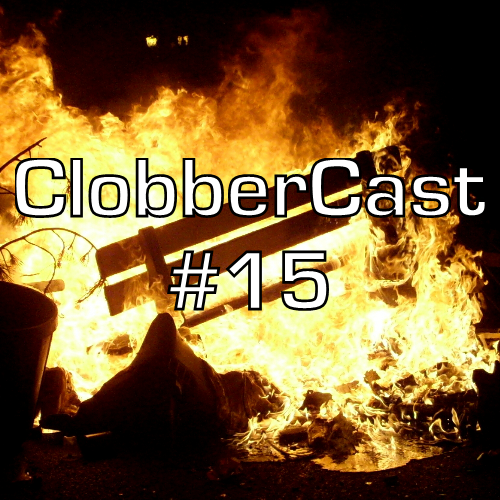 After a mandatory cooling off period, ClobberCast tackles the Royal Rumble and BOY ARE WE STILL FIRED UP AND/OR APATHETIC. Special guests Socks Mahoney and RobbyDude join in on to offer hot takes on the winner of the Rumble, The Rock’s value in 2015, and Rusev’s pending face turn thanks to hip-hop. Is the WWE hurting itself and its fan base by playing against common sense? Hot takes! Or are we just dumb for not liking the wrestlers we’re being told to like? Who cares? At least NXT is still amazing! Also, f*** The Rock. Hot takes! Have you been watching New Japan and Lucha Underground? You should if you want wrestling to make you happy. Hot takes! Music: Peelander-Z – Terry Punk!